As a natural outgrowth of the Veterinary Scholars Program, Boehringer Ingelheim is proud to be a sponsor of the National Veterinary Scholars Symposium since its inception. 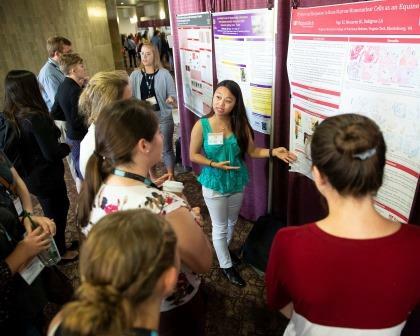 The NVSS is the premier annual scientific colloquium which showcases research accomplishments by veterinary students completing summer research internships. 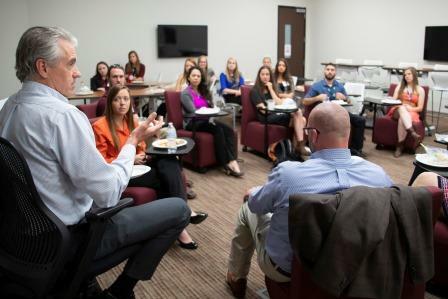 The Symposium highlights the ways veterinary scientists advance basic and applied research to support global health and enables participants to gain insights into careers in biomedical research. 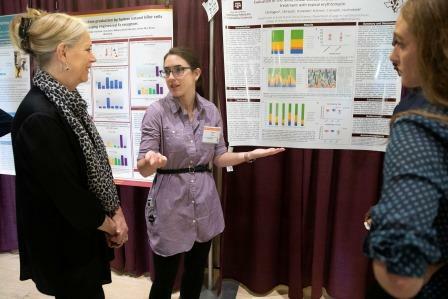 More than 650 veterinary students from across North America and Europe, as well as animal health researchers and leaders from more than three dozen top veterinary schools, convened at Texas A&M University in August 2018 for the 29th annual National Veterinary Scholars Symposium. As part of the Veterinary Scholar Program, each year Boehringer Ingelheim presents awards to one graduate student and one undergraduate student for exemplary research. The 2018 Boehringer Ingelheim Veterinary Graduate Award was presented to Dr. Andrew Lewin, who is completing his residency in comparative ophthalmology at the University of Wisconsin’s School of Veterinary Medicine, for his work in infectious ocular disease and glaucoma in several animal species. The 2018 Boehringer Ingelheim Veterinary Research Scholar Award was presented to Kathryn C. Taggart, an undergraduate student at the University of Florida’s College of Veterinary Medicine, for her study of dilated cardiomyopathy in Dobermann Pinschers. To read more about their research and how to apply for the 2019 awards, click here.